You are currently browsing the tag archive for the ‘grocery store’ tag. 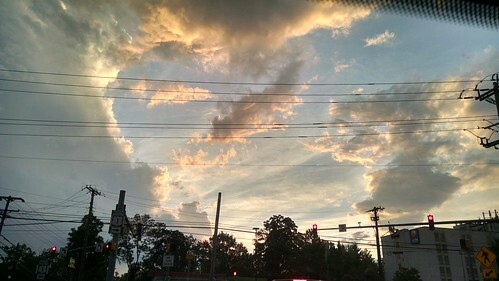 The sky over Route 1 in College Park, Maryland looked like something out of a Renaissance-era painting when I took this photo at sunset on August 4, 2015. 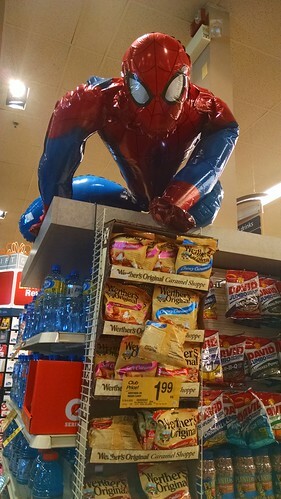 I was shopping at a local Safeway when I saw this giant Spider-Man balloon guarding a shelf full of Werther’s Originals candy.